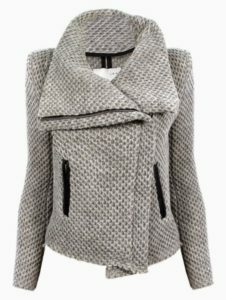 Home Blog Quart coat pattern variation: transform it into a zipped biker jacket! 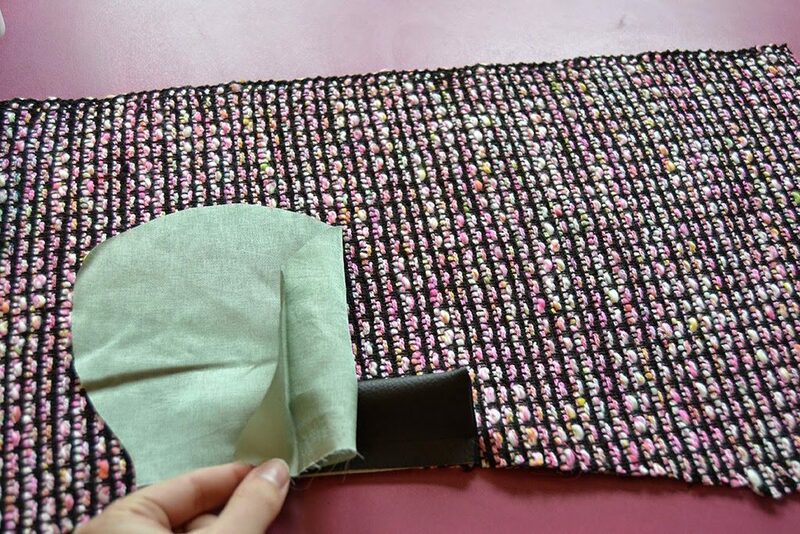 Quart coat pattern variation: transform it into a zipped biker jacket! Today, I want to show you a new variation for the Quart coat pattern. I don’t know about you, but I like to use the same patterns multiple times. If you want to make a motocycle style jacket like this Iro number, here is the tutorial. What I’ve been dreaming of: Kristen jacket by Iro. 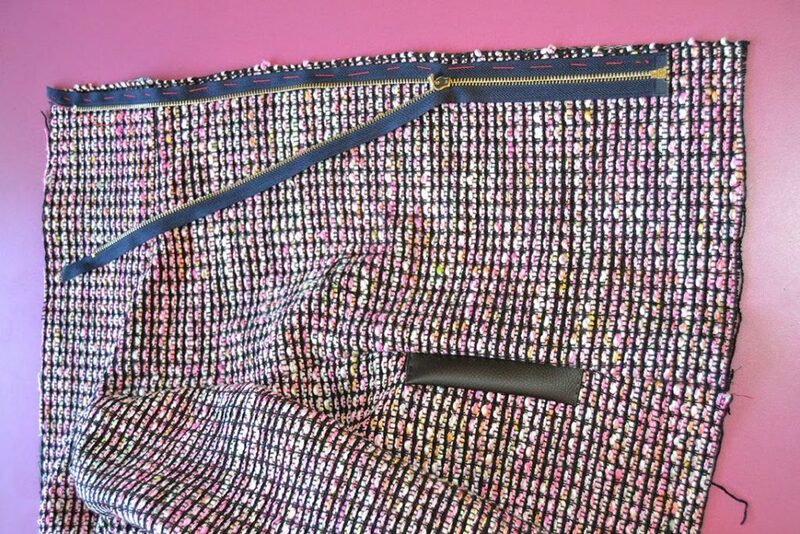 You’ll need a 50 cm (20″) separable metallic zipper, a ruler, a pencil and your Quart pattern pieces.Take your main pattern pieces: front, back and side. 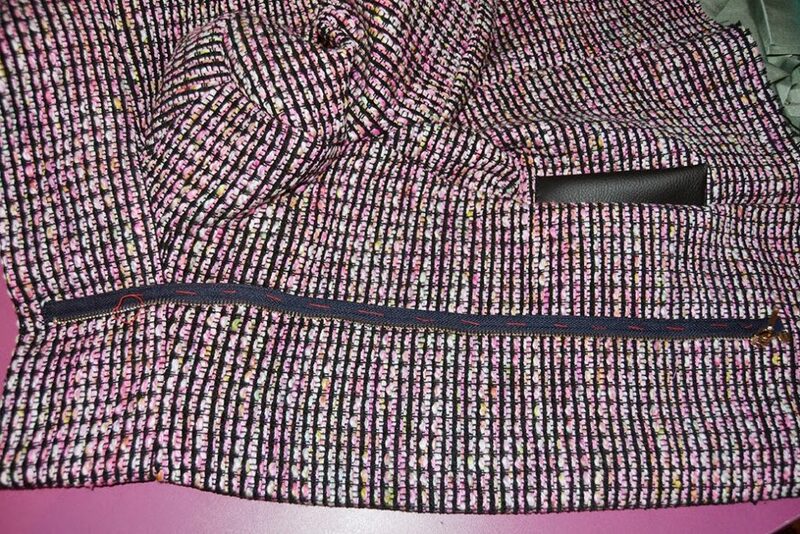 You’ll need to decide the length of the jacket, for mine I drew the cutting line about 10 cm (4″) below the waistline mark, seam allowances included. Do the same for the lining and the front facing. Draw new pocket marks, approx. centered around the waistline. Stitch the collar to the jacket and baste one side of the zipper to the front piece and collar, with the teeth at 1,7 cm (3/4″) from the edge. Follow the instructions and at step 37, sticth the whole facing to the jacket with right sides together, enclosing the zipper in the seam. The other ziper side is simply stitch directly on the front piece and collar. 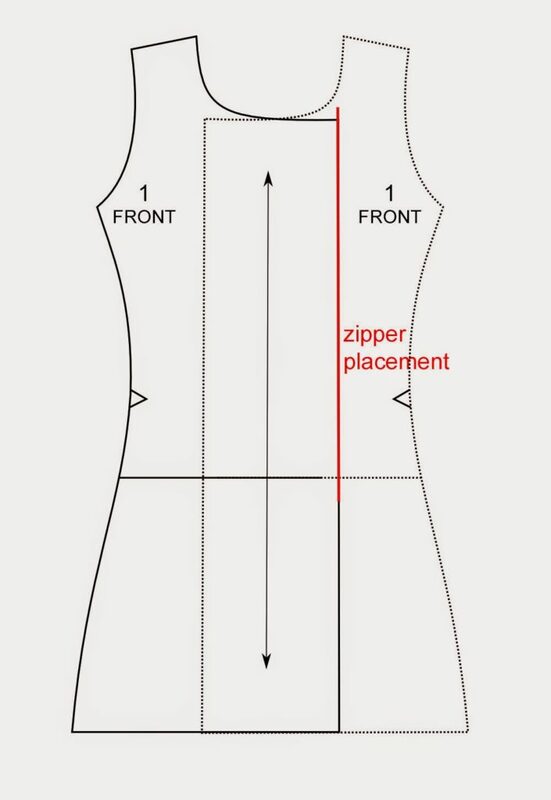 In order to know where to place it, overlap the front pieces matching the grainline and mark where the zipper should meet (in red in the illustration). 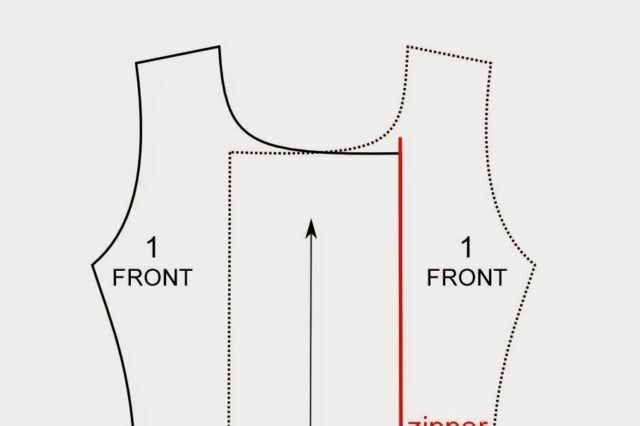 Baste the zipper to the front and collar and stitch with a zipper foot. 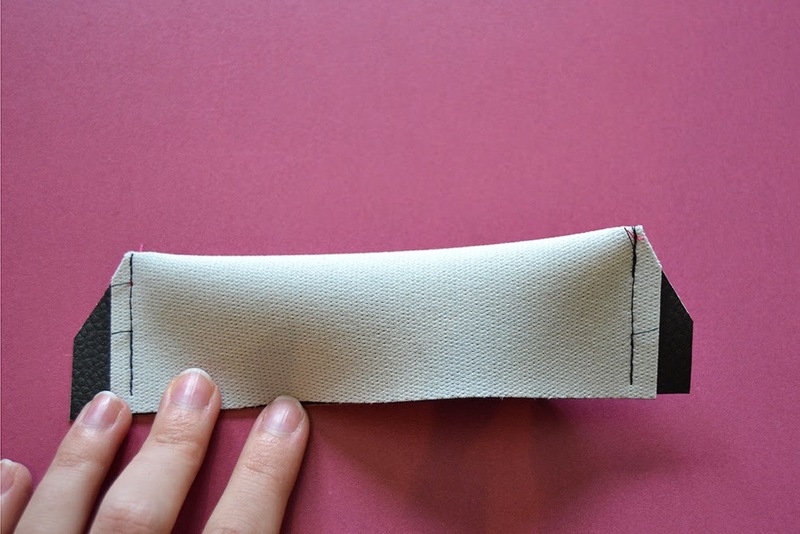 To add a leather welt to the pockets, cut 2 pieces of leather of 10 x 16 cm (4″ x 6 1/4″) and fold them vertically. Stitch the extremities together and turn inside out. 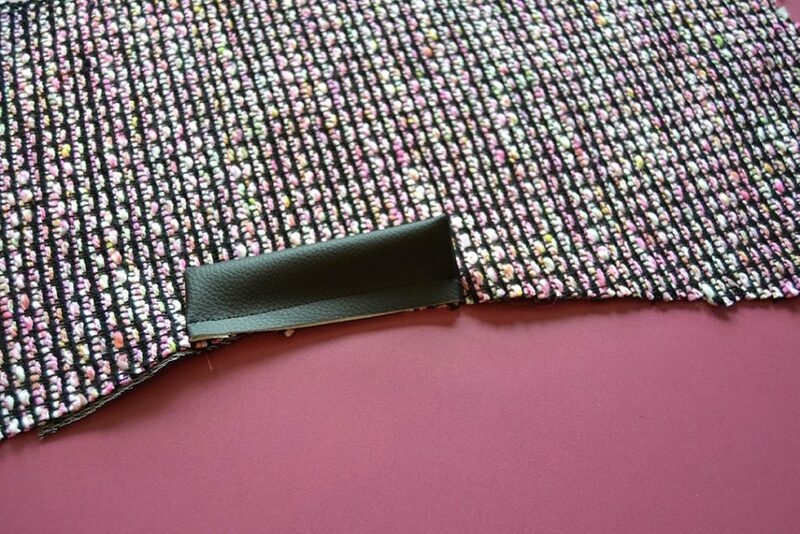 Place the welt between the pocket marks on the front piece and stitch at 1 cm (3/8″) from the edge. 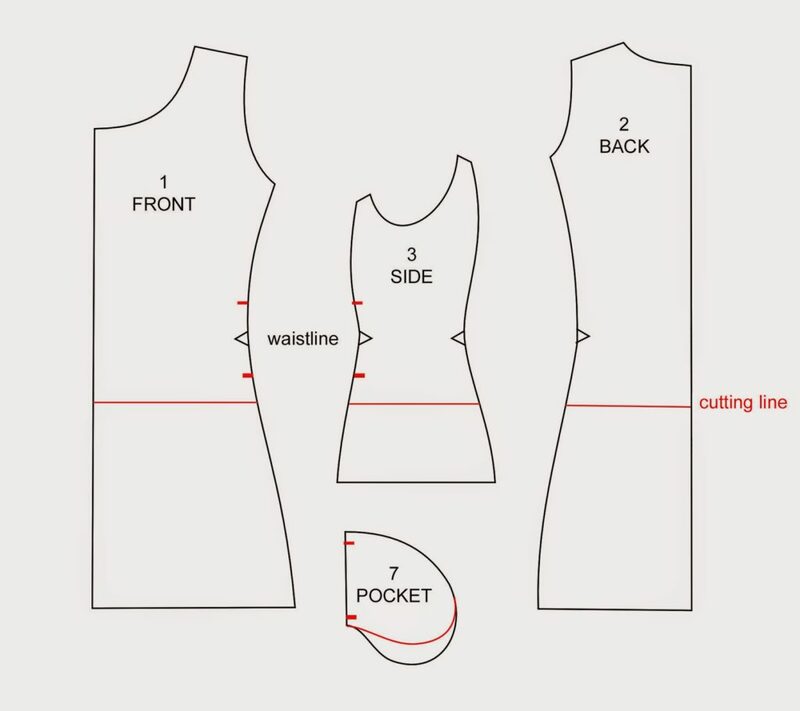 Redraw a new pocket (see the illustration above) and place hem over the welt and the pocket marks on the side piece. Stitch the pockets according to the instructions. Stitch the welt side to the side piece. I’ll show you the finished jacket very soon (I’ll take advantage of a trip to Paris for a fair to take the pictures). By the way, printed patterns orders made between February 14th and 19th will be shipped on Friday 20th, thanks for your understanding. Super! J'ai trop hâte de voir le résultat! J'imaginais bien une version courte en gabardine sans trop modifier le patron mais l'image de départ me plaît beaucoup! Waouh, quelle bonne idée de transformation! Moi aussi j'aime utiliser les patrons plusieurs fois, d'ailleurs je suis en train de faire ma 3ème blouse Carme, et le tissu pour la 4ème est déjà prêt! Merci pour toutes ces belle idées! Lovely! What a great looking jacket! I can't wait to show you the result! Tout a l'air si simple et clair! Le résultat promet d'être splendide. 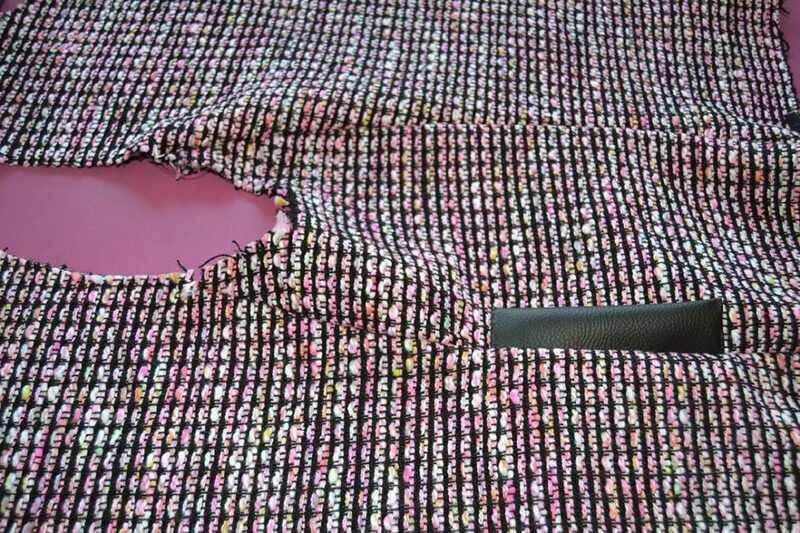 Great great pattern hack! I need to find time to do this!! Can't wait to see the finished jacket. I can sooo picture you with this biker jacket version Manju! Me gusta mucho esta variante. Y con esa tela queda preciosa!! Ha, esta tela…. la tengo guardada desde hace 2 años y estaba esperando un proyecto especial, creo que lo ha encontrado jeje. très très belle idée cette "transformation" !!! ¡Enhorabuena! Te va a quedar precioso. Vaya dos pedazos de prendas con el mismo patrón, impresionante. Je viens de tomber de ma chaise en découvrant l'article !! C'est au delà de mes rêves…. Pauline, tu es tout simplement génial !!!! Et bien tant mieux 😉 Plus besoin d'écumer pinterest héhé. Je vous montre la veste finie ce week end! Coucou Pauline, j'aime beaucoup ta version et j'ai hâte de voir les "vraies" photos car celles présentent sur IG sont très prometteuses 🙂 est ce que tu te souviendrais approximativement de la quantité de tissu dont tu as eu besoin ? Oh c'est marrant, j'ai réalisé quasiment les mêmes modifs pour faire une veste a ma fille. Même technique de paresseuse pour la fermeture éclair 🙂 je l'ai simplement faite un peu plus longue, puisque j'ai juste supprimé lahauteur de la partie a plis.